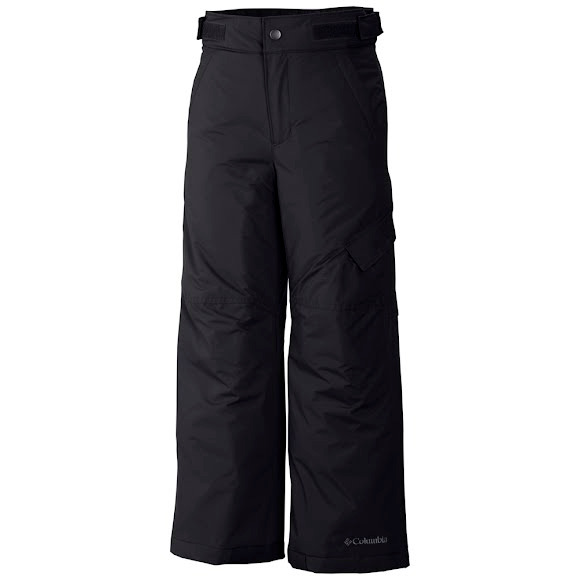 Ideal for staying warm in cold conditions, Columbia's water-repellent, insulated Ice Slope II Pant have an adjustable waist and our Outgrown system, so you can adjust the length to keep up with inevitable growth spurts. The internal leg gaiters and reinforced cuff guards lend extra protection and durability. Ideal for staying warm in cold conditions, Columbia &apos;s water-repellent, insulated Ice Slope II Pant have an adjustable waist and our Outgrown system, so you can adjust the length to keep up with inevitable growth spurts. The internal leg gaiters and reinforced cuff guards lend extra protection and durability. The Outgrown Grow System from Columbia allows you to extend the life of your child&apos;s Columbia outerwear so that it lasts through multiple seasons, regardless of growth spurts. Located on the pant legs and jacket sleeves of select Columbia products, is an extra bit of fabric that is held back by a contrasting thread. Simply fold the sleeve or pant leg inside out, snip this thread and pull to extend the length of the sleeve or pant leg by 1.5 inches. Garments with the Outgrown system are great for younger kids who are constantly growing out of clothing from season to season. Great pant at a great price! My son loved the color, not the standard black, and they have an adjustable waist which for a skinny guy is perfect!